Find an array of Guam gifts, Guam products, and Guam souvenirs online at the Gerard Aflague Collection. The Gerard Aflague Collection is the premier online store for the purchase of a multitude of products in a one-stop shop. 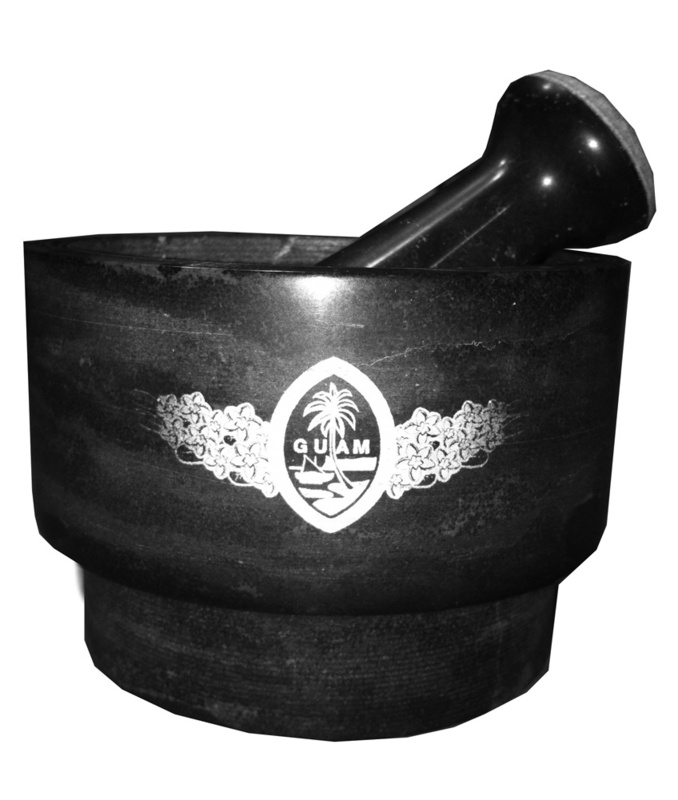 Hundreds of products are at your fingertips when you are looking for that birthday or Christmas gift with island-flavor. Gifts that are available at the Gerard Aflague Collection online store include Guam hats, Guam aprons, Guam wood products, Guam patches, Guam auto products, Guam apparel, Guam decals, Guam cutting boards, and much more. 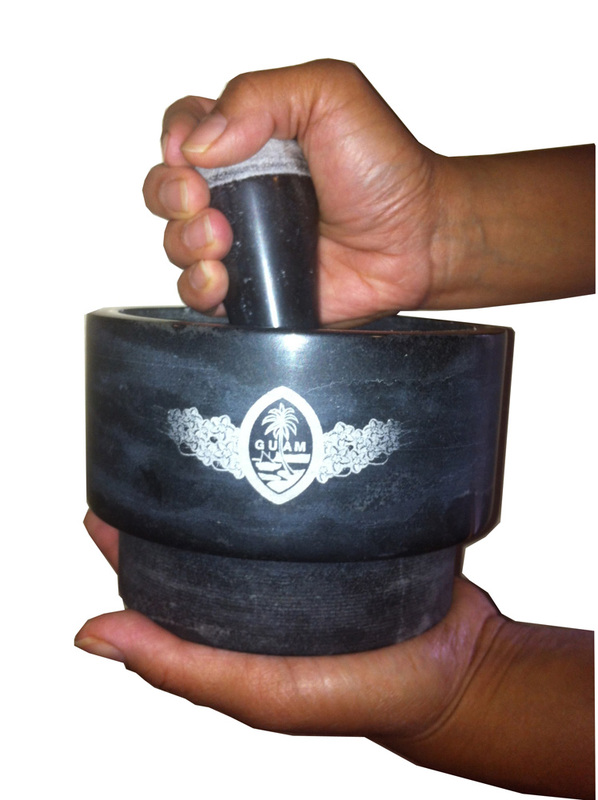 In this image, a new product is shown which is a mortar and pestle with a lasered Guam Seal on the front face of the mortar. Buy this and over 400 products online today!